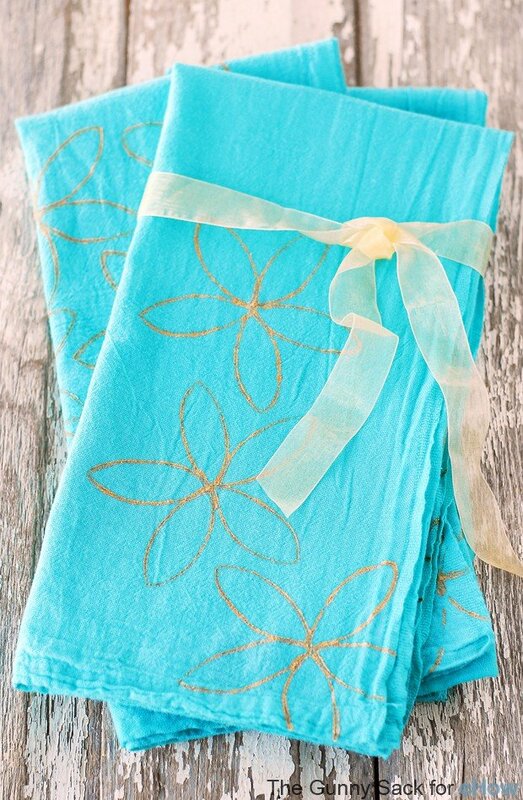 Bring a little spring into your kitchen with some cheerful dish towels stamped with beautiful metallic gold flowers. Happy Monday! We went to visit our out-of-state friends this weekend and I got to see my friend’s newborn baby. I spent Saturday snuggled up with the baby. She was so sweet and it was hard to go home know that the next time I see her, she is going to be so much bigger. I hope you had a great weekend too! We are completely in the same boat with weather…..it just will NOT warm up! But I guess that’s typical for March…I need to wait till May for the good stuff! 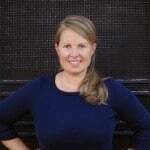 I love these towels for their simplicity, Tonia! So pretty!